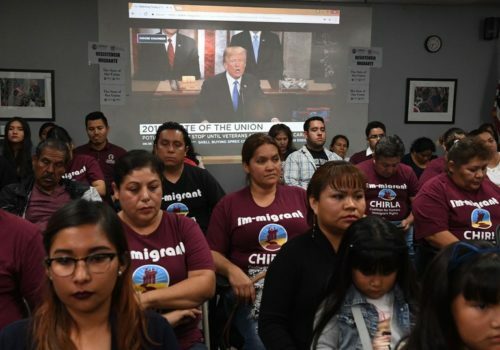 The point was to shift the terms of the polarizing immigration debate and reinforce the argument that those born in the United States or living here legally deserve sympathy as well. But if Mr. Trump believed the line in his State of the Union address would help bring the sides together for the bipartisan agreement he says he seeks, he received little encouragement on Wednesday. The two sides appeared further apart than ever.